Video footage of Radiohead rehearsing their 2009 Grammy Awards performance with the University of Southern California (USC) Marching Band has been uploaded to YouTube. The nine-minute video shows Thom Yorke giving the marching band – which included drummers, tuba players and trumpet players – instructions as they rehearse ‘15 Step‘ at Sony Studios in Los Angeles. The awesome footage was shot by USC band members, check it out. 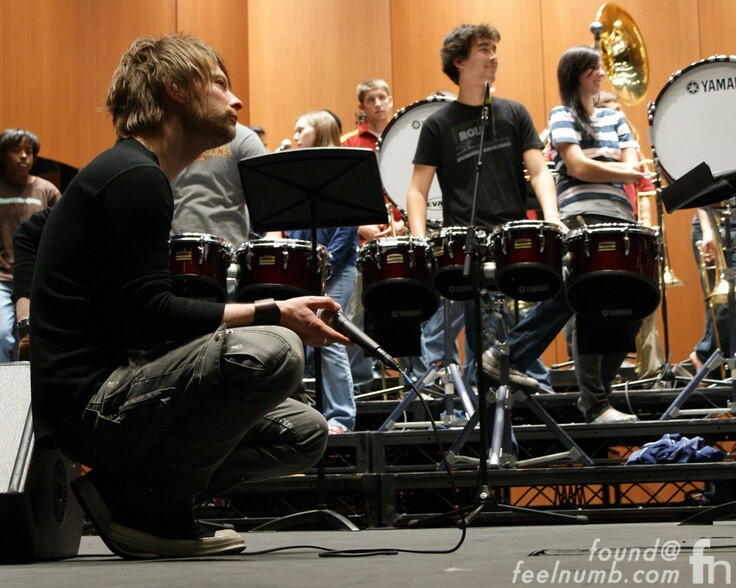 Here’s a cool photo of Radiohead with it’s marching band at the 51st Annual Grammy Awards held on February 8, 2009.